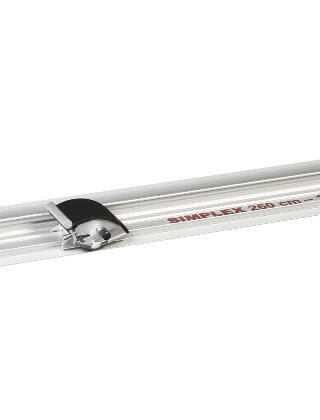 The Simplex is more than a straight edge. It’s a lightweight, portable straight edge mounted with a quality cutting head that features utility knife blades. For use on a floor or a bench, the Simplex is accurate to within .03" over the full length of the cut and is an economical alternative to the Javelin Series 2 and Sabre Series 2 GPC. Full-length silicone rubber grip strips protect the material being cut and ensure that all work is clamped when cutting. 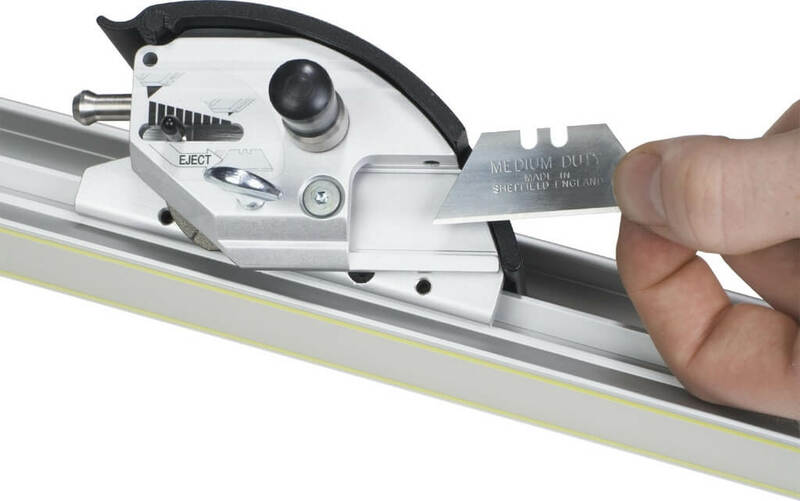 The cutting head offers blade depth adjustment and accepts utility blades that cut to a depth of 3/8", as well as Keencut XR blades that cut to a depth of 1/2". Includes Manufacturer's 5-year parts warranty (excluding blades, clamp strips, site line strips and cutting wheels) and Manufacturer's 20-year warranty on the bearings.